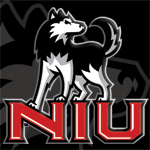 (12-04-2018 10:30 PM)NIU84 Wrote: Next time STF considers a football schedule-palooza, I hope he targets games to bring in good Saturday crowds. I applaud him trying with the Utahs and Nebraskas and BYUs, I liked those ideas when I saw 'em. But now I'd like to see us have one good OOC money game, and the rest be nice Saturday at home games against very local team. Bring in the Illinois regionals and the few thousands more fans they will bring, the SIUs, ISUs, etc.. Bring in the Northern Iowas. I want to try those types of teams now, Saturday home games when the weather is warmer, and focus on the crowds. Am i off base? will we loose recruits doing that? I'd like to see a schedule with at least a closer OOC away game like the year we played NW. That was a lot of fun & "close" to home. Met STF in Detroit coming out of Cheli's. He came across as nice. Partied big time in the hotel bar after the win with the huge group of Huskie fans there. I don't have any issues with the OOC schedule this year, it was a bit tough, but you couldn't really turn down the money - and we had a home game against a P5 school. I saw you addict at both places. You were wearing red. Great time.